Make your kitchen a Giving Kitchen. The GK Supper Club is back for its second year, this time for the full month of May! It’s the best excuse to invite your friends, family, neighbors or coworkers into your home to share a meal together. As you catch up, find a time to let your guests know about Giving Kitchen – what the organization’s mission means to you and what GK does for food service workers in crisis – and ask them to join you in giving back in honor of your GK Supper Club. Create a CrowdRise page, and set a goal to pledge your support. Once your page is created, go to the Dashboard section to personalize the description for your page so your GK Supper Clubs guests can read about why you support Giving Kitchen. 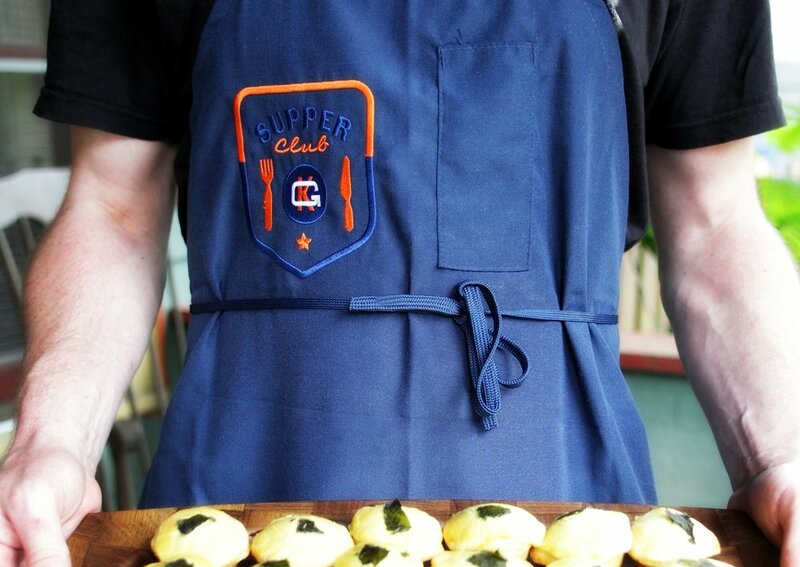 Get your host kit: Let us know when you're hosting your GK Supper Club by April 22 here, and we'll send you a host kit. Plan your party: Some ways you can GK Supper Clubs are listed below, but don’t let our list limit you – get creative and make it your own! Let everyone know about your GK Supper Club, and get ready for the big day! Our host kit will help you prepare. During your GK Supper Club, tell your guests what Giving Kitchen does - and ask them to support our mission by donating to your GK Supper Club CrowdRise page. Our talking points will make this step a breeze! Enjoy your supper club, and send everyone home with all the feels about the impact they just made for food service workers! NOT A PARTY PLANNER ENTHUSIAST? You can still support the GK Supper Club by taking your friends out to your favorite restaurant, foot the bill and ask them to pay it forward by giving to GK! While we love all of our restaurant partners, we encourage you to eat out at Ruth’s Chris Steak House, our GK Supper Club gold sponsor, or one of our annual corporate sponsor restaurants: Local Three, Muss & Turner’s, Eleanor’s, la Tavola, Lure, South City Kitchen, Ecco, Alma Cocina, The Original el Taco, STATS Brewpub, Glenn’s Kitchen, Twin Smokers BBQ, Max’s Coal Oven Pizzeria, Der Biergarten, Ventanas, Game-X, SkyLounge, The Cloakroom Kitchen & Bar and Legacy Test Kitchen.